The Financial times featured an article on MV Agusta’s turnaround strategy in their March 26 edition. The case study reveals how the Italian motorcycle manufacturer was able to avoid bankruptcy and achieve a €40m increase in revenue in the space of three years. MV Agusta reported annual sales in 2009 of just €30m whilst under the ownership of Harley Davidson. Due to the financial crisis at the time MV Agusta were hit hard, and were reported to be losing €3.5m a month. Claudio Castiglioni decided to buy back the company in 2010 and implement a turnaround strategy that paid close attention to the company’s financials. Unfortunately Claudio Castiglioni passed away shortly after his acquisition in 2010 and left his son Giovanni with the task of executing his vision. At the end of 2010, MV Agusta were reporting monthly losses of €1.5m and by March 2011 the company was breaking even. By 2012 MV Agusta reported annual revenues of €70m. A far cry from the mere €30m reported just 3 years earlier. In addition to his MV Agusta was now profitable and had made large strides in achieving their financial goal of a 10% operating profit. MV Agusta were able to achieve this turnaround by restructuring the business and offering an affordable Supersport range. 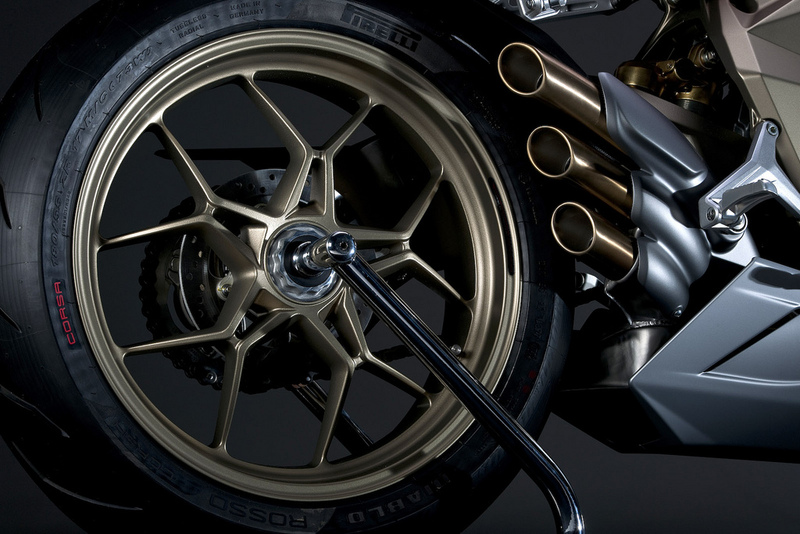 In addition MV Agusta remained close to their roots by manufacturing advanced and highly desirable bikes. They had also developed their international distribution network and developed a niche marketing strategy to lead the desirable brand into the prosperous future. Leleux, Benoit. Glemser, Anne-Catrin. ‘MV Agusta’s turnaround strategy.’ Financial Times March 26 2013.